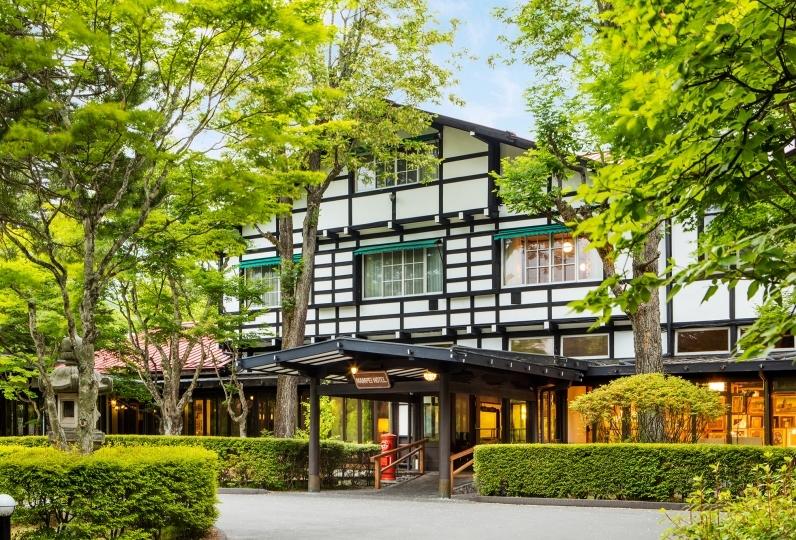 Karuizawa is home to many of famous Japanese resorts. 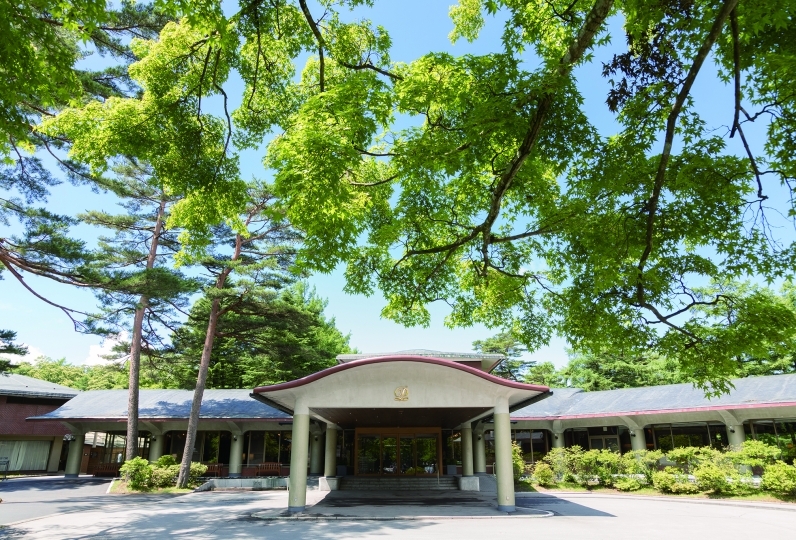 Le Grand Kyu Karuizawa was established in July 2016, producing harmony between the classic atmosphere and scenery. It resides in the best location for sightseeing and shopping. 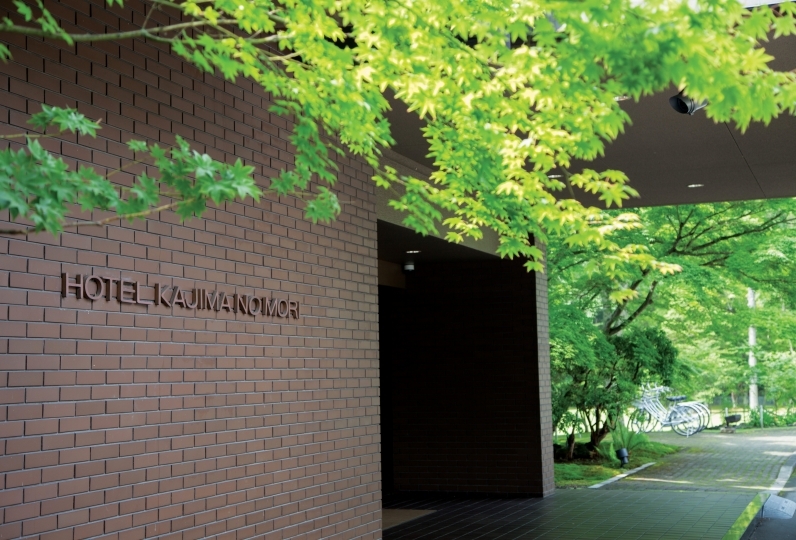 The pleasant rooms that harmonizes classical interior design and Karuizawa atmosphere also has a spacious bathroom. We hope you spend a relaxing stay here. What colors your stay here is the chef's specialty: French-based creative course meals. 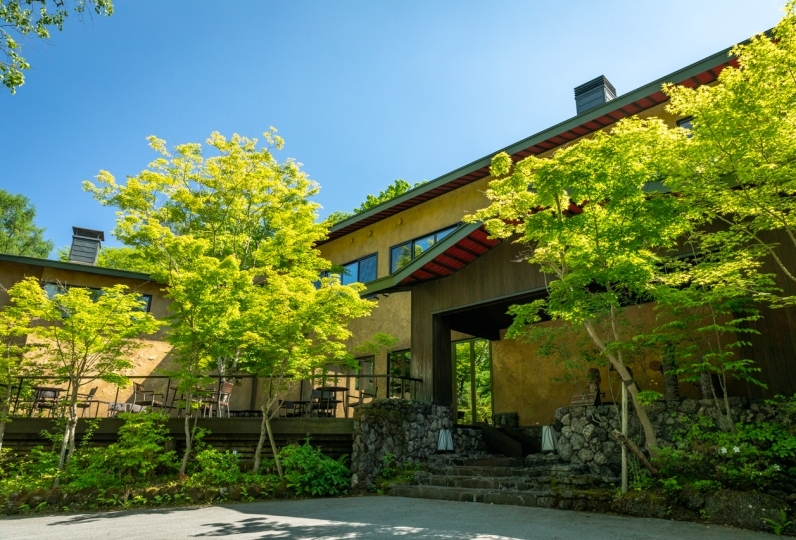 We hope you enjoy your fill of the chef's specialty dishes, that make the best use of the naturally rich blessings of the land in Karuizawa, together with wine. While the outdoor spa overflowing with openness is in the middle of town, one can still feel the comfort of the greenery. 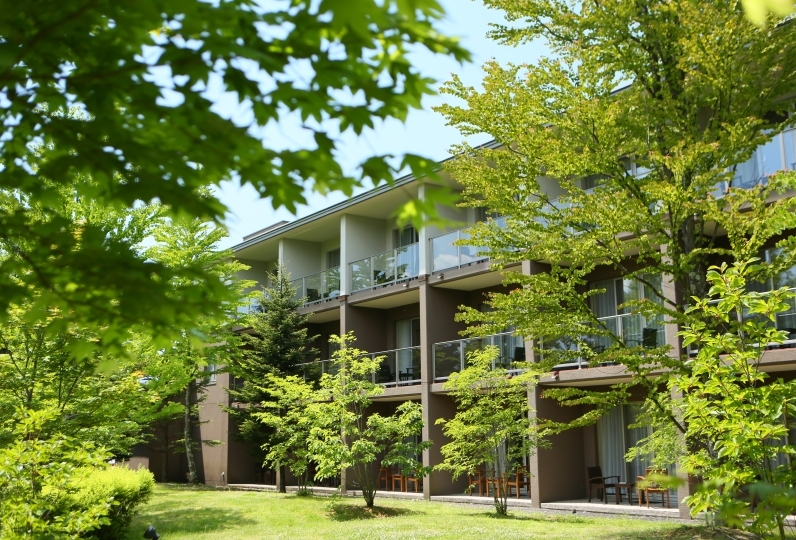 We hope you feel the clean air flowing through your body and enjoy a high quality stay in Karuizawa. I felt thankful to the kindness of the customer service. It was good that I could not feel good and I could have dinner at the middle of the day, and I could not have breakfast, but could have a rest until 12 o'clock check out. Are you in good shape when you check out? I was glad to hear the words of my heartfelt greetings. 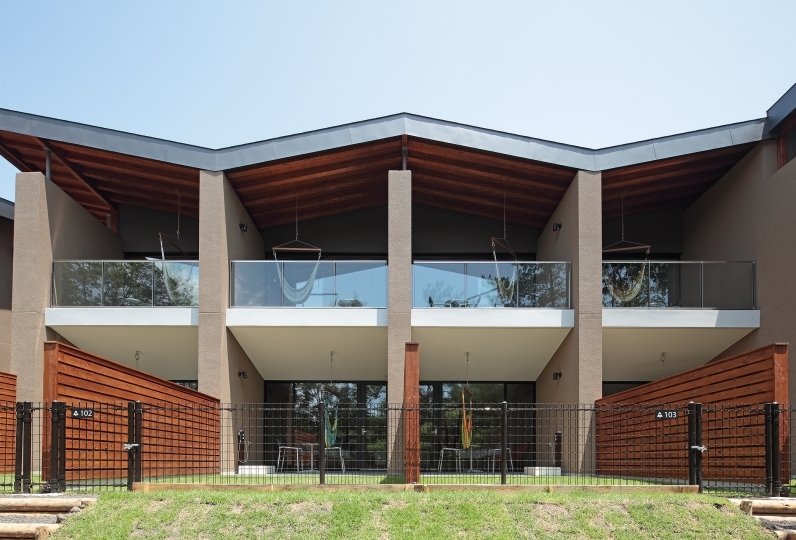 Next time I wanted to go to the newly made Le Grand Karuizawa. Thank you very much. ※ Breakfast will be available from 7:30am ~ only during the winter season. 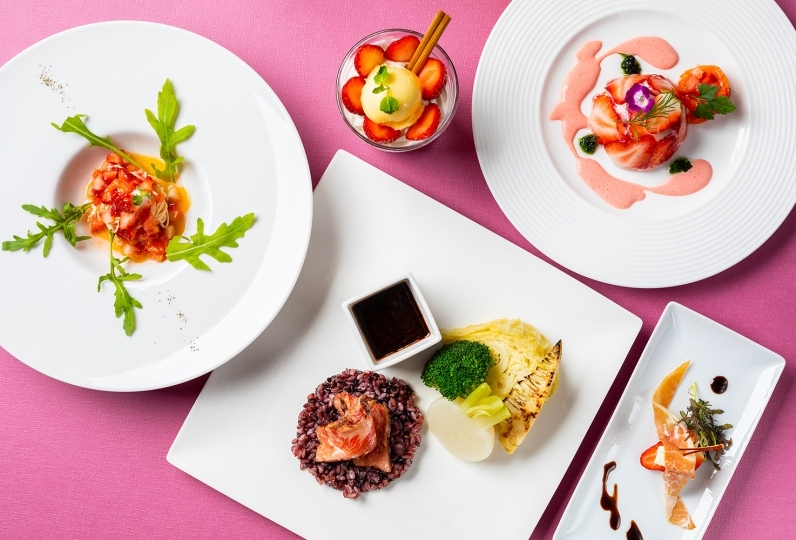 ※For course dinners, entry into the restaurant is until 8:00pm. * Depending on the purchasing situation and the season, the menu may change. A bar with an old yet profound feeling. 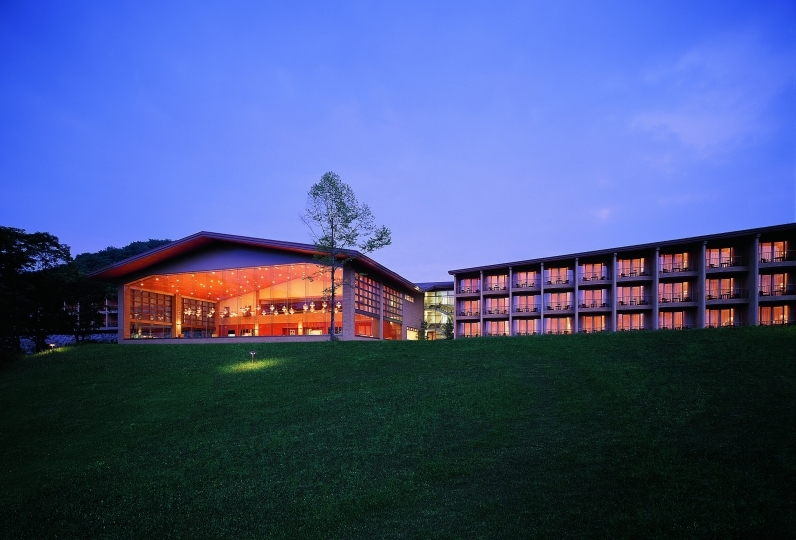 Together with rich choice of liquors such as wine, cocktails, and whisky, guests can enjoy a quiet night in Karuizawa. On the terrace with pleasant breeze and warm sunlight, we hope you spend a comfortable time here. Enjoy the local hot spring of "Yamanokami Hot Springs". This water is well known for its cosmetic benefits. The "Karuizawa Half Marathon 2019" will be held on May 19, 2019. There is a time zone that the area around the hotel is also regulated as follows because of the traffic regulation within the town accompanying the tournament. Please note that on May 19 (Sun) 9:00-9:30, you can not withdraw a car. *We recommend that you use the parking lot around the station for those who drive in and out in the above time. In addition, please beware lots near the station may be full. ・This price does not include the bath tax of 150 yen. ・Sales tax and service fees are included in the price.